Is surgery required? Is the patient effectively communicating symptoms to make the correct clinical diagnosis? 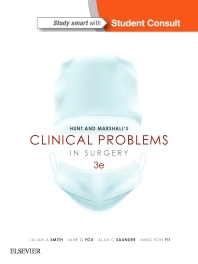 Clinical Problems in Surgery, 3rd Edition supports medical students in applying clinical reasoning to problems they encounter in a clinical setup. Individual chapters are dedicated to specific regions of the body where surgeons encounter most of the problems. The content structure follows the logical step-by-step process of introducing a clinical problem; seeking history and conducting physical examination; diagnosing the patient and devising a treatment plan based on this informed diagnosis. Each chapter discusses the clinical presentations with which surgeons are most commonly faced. Each chapter is dedicated to a range of such problems within a particular region of the body.